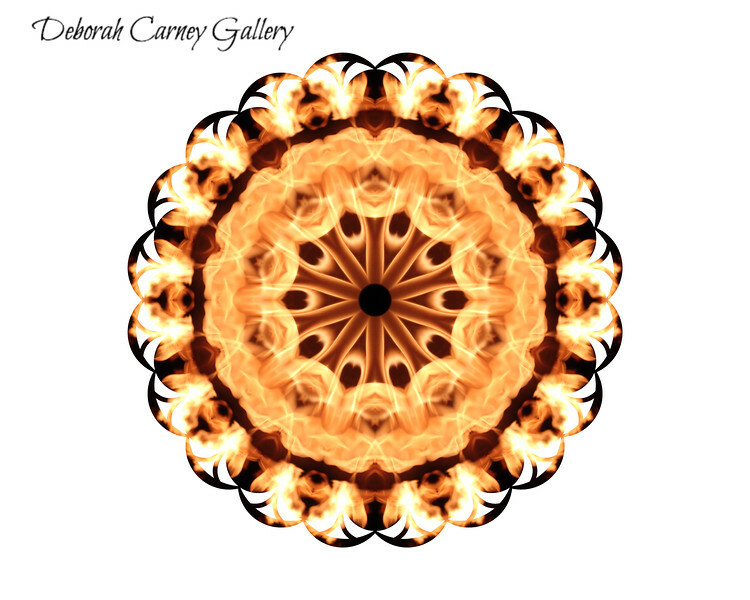 Mandalas created from photographs of a fire pit in Cabo San Lucas Mexico by photographer Deborah Carney. Relaxing, inspiring, mandala to print and hang on your wall or put on your phone case. Use as a crystal grid base to add fire to the grid. A mandala is a sacred geometric figure representing the Universe, used in meditation and for spreading love and healing to the world.